If you’re someone who’s conscious of your calorie intake, resisting a fast-food meal from time to time can be a challenge. Especially if your friend is going for a Big Mac meal with thick shake, tempting you further to ditch your salad you pre-packed from home. Once in a while, you can enjoy a fast-food meal without too much guilt, just as long as you’re not having one for breakfast, lunch and dinner. 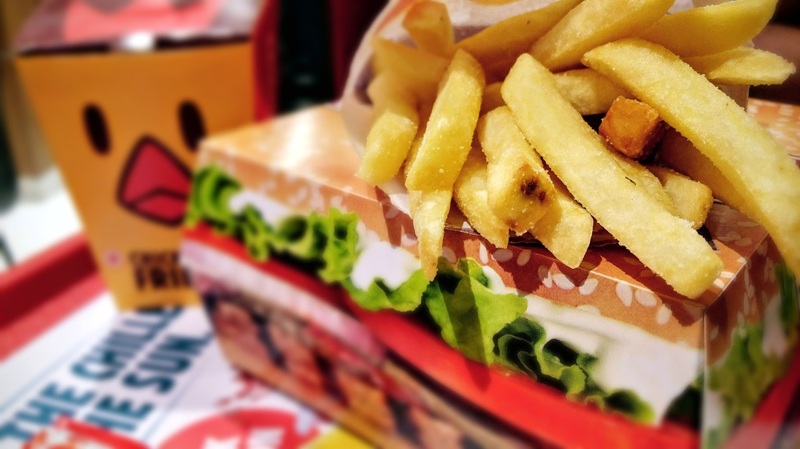 If you’re being mindful on what you eat, but don’t want to pass up a treat, here are the healthiest, lowest calorie options at some of the UK’s favourite fast-food outlets. A favourite and fast-food giant, McDonald’s is the ultimate burger-and-fries outlet, known for its salty, calorific, cardboard-packaged meals. However there are some lower calorie options to enjoy, depending on your tastes. The salads are the obvious option, with the Grilled Chicken Salad at 133 calories at McDonalds. 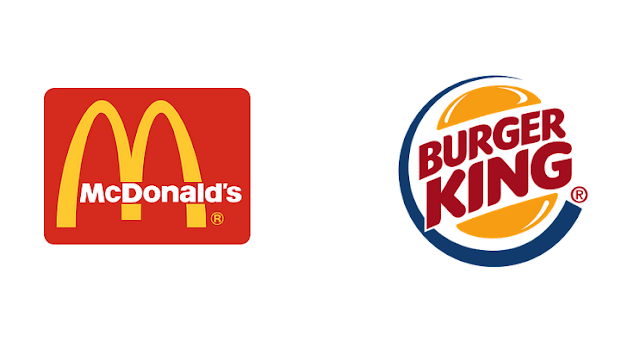 The Burger King equivalent – the Crispy Chicken Salad – isn’t as low-calorie, with 210, so if you’re into your salads, opt for Maccy D’s. Replacing your McFlurry with a less indulgent McDonald’s Fruit Bag can give you some sweetness without the 332 calorie count a typical chocolate McFlurry offers. Burger King also offers ‘Apple Fries’, creating a healthy alternative to fries, being cut to look like BK’s thick cut chips but with only 30 calories. If you can’t think of anything worse than opting for a salad at a burger joint when there’s a tempting array of beef and chicken on the menu, your best bet is to go for the Cheeseburgers or Hamburgers. The cheeseburgers at both McDonald’s and Burger King average at 300 calories, with the hamburgers lower averaging at 255 calories. Plus, both chains offer these at the low price of 99p each, part of the Saver Menu and King Savers, so the ‘healthier’ options are also purse-friendly too. Of course, the more filling-filled burgers are more appetizing to most, with additions of another patty, bun, cheese, bacon etc. but these will, as expected, contain more calories. The thick shakes the chains offer are essentially blended ice-cream, averaging at around 380 calories for a medium sized cup, so opting for zero-sugar soft-drinks, fruit juices or water is the healthier route. Everyone loves pizza, and taking a trip to your local Pizza Hut branch or getting it delivered as a Friday-night treat is always indulgent and delicious for pizza-lovers everywhere. While you can’t escape the calorific melted cheese, there are ways to get around the crusts, and choosing your toppings wisely will also lower the calorie-count. Opting for a deep pan with cheesy-bits crust won’t do you any good if you’re watching what you eat, so go for the Italian crust, or even better, the Feel Good Flatbread option. The flatbread pizzas average at below 100 calories per slice, while deep pan meat-feasts are over 300 per slice. Choosing your toppings to include peppers, chicken, mushrooms and spinach is a good idea to add deliciousness; avoid greasy meats and extra cheese. Dining in also offers free unlimited salad for customers, which is great to accompany your flatbread pizza; opt for greens and steering clear of the creamy coleslaw and heavy nachos. For chicken-lovers out there, KFC is the fast-food chain with a huge selection of chicken treats. The Original Recipe Salad is the lowest calorie option on the menu, with chicken pieces, garden salad and tortilla wrap at only 345 calories. But be cautious in your choosing of dressing, or go without to keep the calorie count low. KFC also offer Riceboxes if you’re not keen on the green stuff, providing good levels of protein which works well with carbohydrate sugar levels in the box. Despite being 500 calories for the Original Recipe Ricebox, the nutrients provided are still not too bad. If you want a purely-chicken snack, the favourite Popcorn Chicken is pretty low on the calorie count. A portion contains just 135 calories, the large option and meal snack box varieties obviously a lot higher however. For chicken-lovers who prefer to ditch the batter for a bit of spice - and prefer waiter-service - Nando’s is probably more your bag. Not one you’d think of in the same field as McDonald’s and KFC, but the prices are reasonable and the service is pretty quick, so I’m throwing it in. For the salad option, the Supergrain salad is perfect and packed full of nutritious goodness, with beans, greens and avocado. At 338 calories without the chicken, or an extra 150 calories and added protein with the chicken, it’s pretty good for you and packed full of flavour. For a solid bit of chicken, the ¼ option ranges from 280-360 calories, depending on how spicy you’re feeling. It’s a great source of lean protein and without the bun, pitta or wrap; the carb and calorie counts are low. The sides are probably my favourite part of the Nando’s meal, and face the dilemma of which to choose each time I visit. Some of the best options with the least calories are the Spicy Rice, at 227 calories per serving, and the Macho Peas – peas coated in parsley, chilli and mint – are a delicious addition of B vitamins and minerals at 168 calories per portion. The lowest calorie sides are, as expected, the mixed leaf side salad at a mere 27 calories, and a corn on the cob at just 72 calories. Just steer clear of that tempting shelf of sauces and dressings, which will bump up the calorie count. So, there’s a few of the UK’s favourite fast-food outlets and the best options to go for if you want to indulge, but not too much. For the occasional cheat-day, sure, go for the Big Mac meal with a shake and large fries, but otherwise, stick to the leafy greens or fewer extras.